The RVL series meter uses vortex-shedding technology has no moving parts, and any potential for fluid contamination is eliminated by the corrosion-resistant all-plastic construction. The meter includes a compact two-wire (4…20 mA) or three-wire pulse transmitter, contained within a conveniently replaceable plug-in electronics module. All electronics are housed in a corrosion-resistant enclosure. 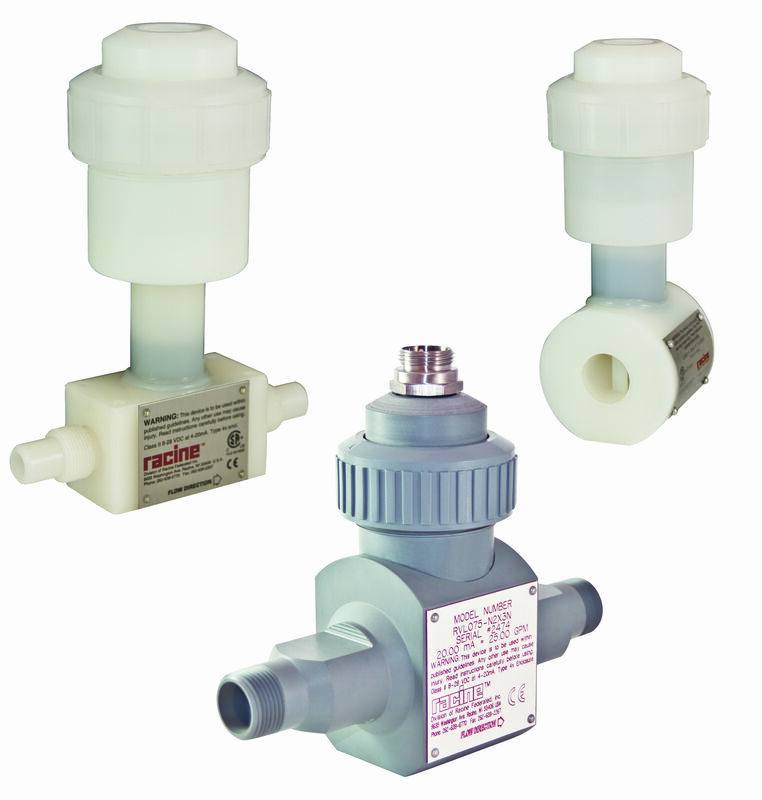 Unlike meters containing metal or moving parts, the RVL is perfect for aggressive or easily contaminated fluids. Applications range from ultra-pure water to highly corrosive chemicals and slurries. Units can be re-calibrated and the meter output span can be reprogrammed in the field.